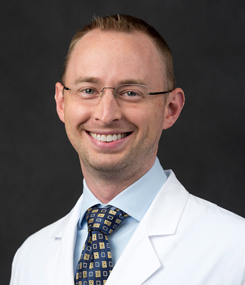 Andrew Young grew up in Portland, OR and moved to the Rogue Valley in 2017 with his wife Hannah after finishing residency and fellowship at OHSU. He was a recipient of the Wendell Stevens award for Most Outstanding Resident. He spends his free time cooking and scuba diving with his wife.